We have a positions available for apprentices looking to continue their carpentry apprenticeship in the Geelong area. The successful applicant will be given the opportunity to expand their current skillset and get exposure to all sectors of the carpentry trade. All while working towards and completing your apprenticeship. 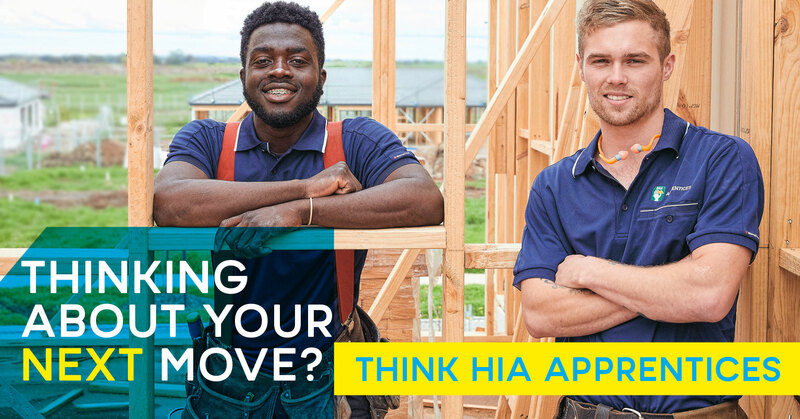 HIA Apprentices are leaders in the selection, management and training of apprentices in the domestic building industry. Established over 30 years ago, we make it easier for young people to get a trade, and help builders and contractors take them on. We provide excellent support to our apprentices in the workplace to make their apprenticeship a positive experience. We take care of everything for you, from the start to the completion of your apprenticeship, so you can concentrate on getting the skills for a very rewarding career that counts. To be the successful applicant for this position you will need to be passionate about carpentry and take pride in your work, you will also need to be a team player who understands the importance of teamwork but also have the ability to work individually and show initiative, be prepared to work hard and go the extra mile. Previous site experience is not necessary but looked upon favourably. You will be required to travel to various sites and locations within the metro area. Carpentry isn't just a job – it's a professional career. By doing an apprenticeship and getting qualified, you're setting yourself up for ongoing employment as a well-paid tradesperson. You’ll also open up opportunities to do further study in supervision or site management, go to university, or start a business and train your own apprentices.